On 18 May, 2017, at 12:15, during loading operations, a minor spill of gasoil from one marine loading arm of the “Ventspils nafta terminals” (VNT) occurred. The operations were interrupted and the spill was immediately stopped. VNT informed the responsible state authorities and currently makes all efforts to efficiently eliminate any spill consequences and collect the spilled product. Swedish Orient Line (SOL) announced the launch of a new shipping route between the ports of Ventspils, Zeebrugge and Tilbury, the company said in its press release. The new route is an expansion of the activities of SOL from their Zeebrugge hub. Furthermore, SOL's service to Ventspils uses the existing connections of P&O Ferries in Zeebrugge, to offer their clients the possibility to ship loads from Ventspils via Zeebrugge directly to the ports of Hull and Teesport. The first sailing is scheduled on 21 January 2017. The first vessel will depart from the port of Ventspils on Saturday 21 January, will arrive in Zeebrugge on Tuesday the 24th, will sail through to Tilbury and arrive on the 25th. The vessel then returns to Zeebrugge the next day, to depart again for Ventspils for a new loop. This weekly RoRo service will carry trailers, containers and other rolling cargo as well as break bulk cargo loaded on rolltrailers. 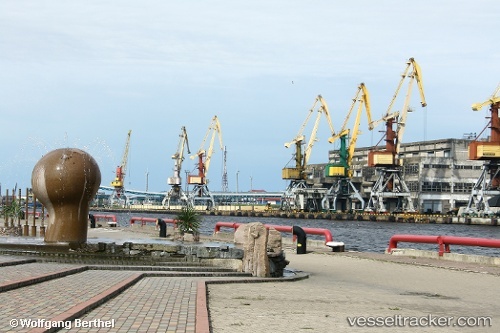 In 2015, Ventspils port infrastructure investments planned for 25.6 million euros, including 11.9 million euro from the European Union Cohesion Fund, pc of the port authorities says. The year of 2015 is to see the completion of a several large-scale infrastructure projects — construction of Berth No.12, construction and reconstruction of access roads to terminal and industrial sites located within the Freeport of Ventspils, reconstruction of the berth for the fleet of the Freeport of Ventspils Authority and repair of the protective wall.